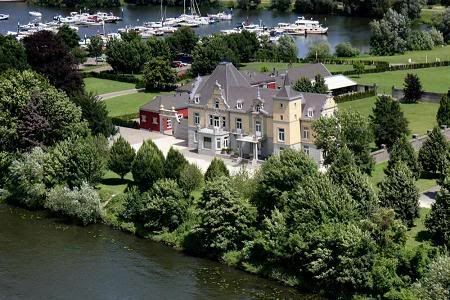 Last weekend, the Watch2008 event has been held in the Hoogenweerth Castle in Maastricht (The Netherlands). 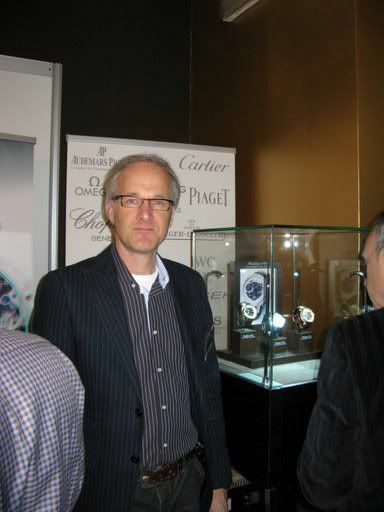 I attended the event on saturday, and arrived right after the opening of the first Watch2008. 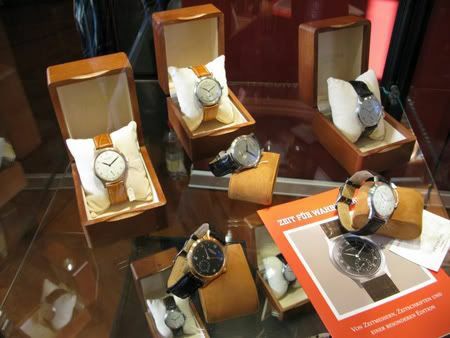 The Watch2008 can be seen as a watch expo for the relative small, and in most cases, independent brands. Representatives of Glycine, Christiaan van der Klaauw, Cornelius & Cie and the owners / watchmakers of Limes, D. Dornbl?É¬ºth & Sohn, Lotterman & S?É¬?hne, Hentschel Hamburg, Rainer Nienaber B?É¬ºnde etc. etc. were all there. The brand/manufacturer that should be present (but wasn’t) is the new Dutch manufacturer ‘Gr?É¬?nefeld Exclusive Timepieces’. Too bad, a missed chance. During the event, I ran into some old watchfriends, like Mike Stuffler (WatchUseek moderator), Michiel (who brought some cool vintage Glycine’s with him), Ernie Romers (WatchUseek owner and co-initiator of the event) and his wife, Alon Ben-Joseph of Ace Jewelers (and WatchFreaksBlog.com) and one of my sponsors, Willem Kamerman of Blancier (Lotterman & S?É¬?hne). Ernie Romers, co-initiator/organizer of the event. Had some great conversations with the watchmakers over at Lotterman & S?É¬?hne and was impressed by their WorldTimer watch. Although the colors on the dial are not my cup of tea, the technical design of the watch is great. All timezones can be read with this watch, even the offset time zones (+/- 0.5 hours). 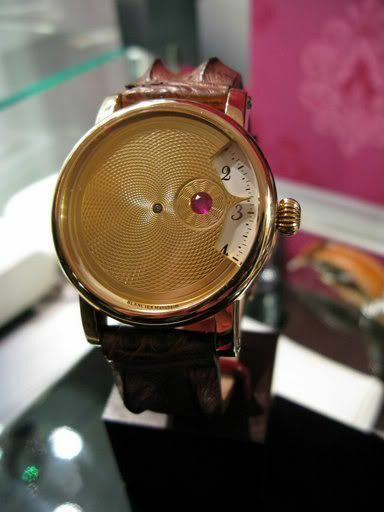 Another great watch that they created, is this single handed watch in gold. 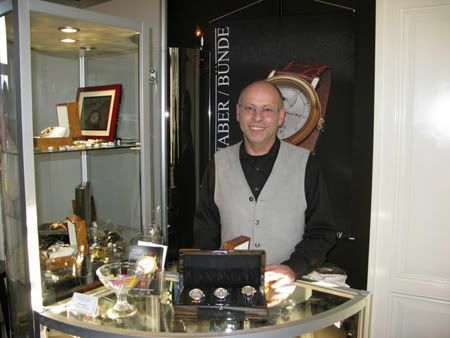 Another great watchmaker that was fun to talk to, was Rainer Nienaber. A brand that I had never heard of before, was Hentschel from Hamburg (Germany). Hentschel creates watches that will remind you of those fabulous watch designs from the 1940s and 1950s. The 1938 Omega Chronometer comes to mind, but also the vintage Jeager-LeCoultres and IWC watches had similar designs. Unfortunately, the watch stand of Hentschel was too crowded to be able to examine their watches a little bit better. All kudos to the organization of this event. 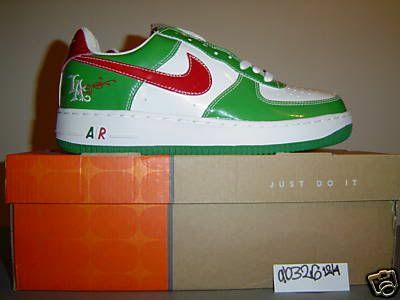 I hope there will be a Watch 2009 as well.